The height of the average American women is about 5 feet and 4 inches. This leaves her with ample shopping opportunity for pants in petite and regular departments where inseam measurements range from 29 to 32 inches. But what are the options for the tall girl who stands at 5 feet 8 inches and taller? It’s even harder for her to shop for pants when she wears heels and wants to sport the correct pant length. If these inseams are still too short, try the Tall Girl shop and Long Legs where the inseams are as long as 38 inches. Stand tall and embrace your height! Goldsign wide legged pants with 37 inch inseams (Nordstrom), Joe jeans with 35 inch inseams (Nordstrom) and Gap khakis with 36 inch inseams. While I wish I had this problem (I’m the 5’4″ American), I do want to second European Lines–like Diesel. Even though Italian women are pretty short, I was amazed when living there that all of the pants were super long. I found out that Italian women just expect to alter all of their clothing, and the Diesel shop in Rome (and I’m assuming elsewhere) does it for you. When I first learned this, I was flabbergasted. Even at the Benetton, where the clothes were pretty cheap, they expected you to alter your clothing. No way was I going to pay 10 euros to alter a pair of pants that only cost 40 euros. Eventually, I learned, though, when in Rome…. Gosh — it’s always such a joy when I stumble upon pants with a nice long inseam! Although I am only 5’6″ I require a 33″ inseam for when I wear flats….longer if I wear heels! My habit is to buy “tall” pants and then march over to my new best friend, the alterationist. $7 later, I am looking good! Just remember, that in America, men assume they will be altering their clothes. And even when they buy off the rack, it’s very customized….I cannot imagine that women’s clothing manufacturers would ever offer such a variety of neck measurements, combined with the variety of sleeve lengths that are currently available to the male shopper. Maybe if women didn’t treat their clothing as “disposable” and expect it to become obsolete within a year, we could start demanding the same! THANK YOU. being 5’10” it’s so hard to find nice clothes that fit me. there are a limited number of stores (that i know of) that have the right sized stuff for me, and not just pants; tall girls have long torsos and arms too! this is a very much-appreciated guide, and i will definitely check out these retailers. Good point Marlene. I think this is why in Europe (or at least Italy) they do so much altering. Closets are too small to have a lot of clothing, so they expect their clothing to last. Angie could probably talk more on this point. We do live in an amazingly disposable society. I was amazed at the extent to which my landlady would use, reuse and fix up her furniture and other household goods. I consider myself an environmentalist and try to avoid overtly disposable goods, but she even put me to shame. (sorry that’s a bit off-topic). There is very limited choice out there for taller women on the highstreet, and it can be very frustrating trying to find even the most basic items. I actually work for a company called Long Tall Sally, and we specialise in clothing for tall women: http://www.longtallsally.com. We also do larger sized shoes (sizes 7-11). I’ve also come across a coule of websites which have links to lots of resources for tall women: http://www.extratall.co.uk and http://www.tallclothingmall.com. There are a number of other retailers that are good for tall clothing. Tall couture’s great for designer style wear and Topshop and Dorothy Perkins are great for cheaper more fashionable clothing (they both have special capsule tall ranges). 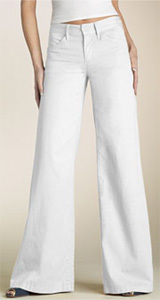 Is it just me, or do Banana Republic pants have a tendency to shrink? I bought two pairs of work pants from BR in a short inseam, and after a couple of washes, they no longer skimmed the ground. I measured the inseam and it was a full two inches shorter than what the website said. I ended up having to give them up because they looked ridiculous. It’s the only time in my life where I have ever experienced what it must be like to be tall. BTW, Angie, I am finally biting the bullet this week and getting surgery to have my bunions removed! Unfortunately this means I will be limited in my footwear for months to come. I need to find some sneakers with good support and plenty of forefoot room, but hopefully that aren’t too ugly. Any suggestions? Ideally I would like them to be an option even after I have surgery, otherwise it’s a lot of money to spend on a temporary fix. Great post! 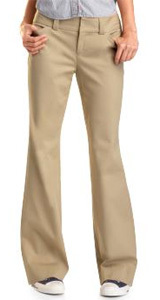 With a 34″ inseam, standard pants are always too short on me. I like David Kahn and Joe’s for jeans, which fit just right on the tall, and Banana Republic’s “tall” option is great too. I am saving this post! Thanks again! Thank you so much for this post! Great resources. Thank you, Angie, for clueing me in to the correct pant length a ways back. I would have been forever a dork were it not for you. Maya, I am 6’2″ and used to wear BR pants until they shrunk. This was quite some time ago so they must have been too short to begin with and I never noticed. Oops. Also, I had the bunion surgery two years ago and am so thankful. I only did it to one foot but it changed my life. You’ll get by on funky sneakers and more structured and flatter sandals and then someday soon you’ll be able to wear heels w/o pain. Good luck! Beth LTS I’m going to check your site out! There are small mom and pop stores that carry tall clothes also. There is also a small American chain called Tall Etc and a small store called Luxuriously Tall. You don’t always have to pour money into the big boys pockets, plus these two seem to carry a lot more American made clothes. 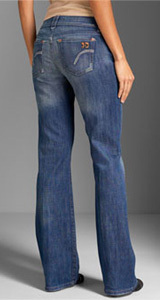 Here’s a pair of designer jeans with a 35″ inseam that are only $69 right now – final sale: http://blog.searchbyinseam.com.....-earn.html. hey. im 6’2″. im tired of ugly long pants. here is a link to a helpful webpage. this should solve ALOT of problems. Unfortunately I have to disagree with you. I think women’s pants are really great and hold up well after many wash loads. You can try adjusting the settings on your dryer, that should help.